ROFLOL… oh Judy! I am submitting your name for Most Amazing Mother of the Year…. And, I am thinking that #1 Son better also! ROFLMBO! And I’m kinda thinking that just perhaps this is Excedrin Headache number 87,260,153,964??? #1 Son once mentioned that it would be nice if I didn’t blog about him quite so much. I suggested that I wouldn’t if he’d stop doing blog-worthy things! Aye yai yai! I think you should totally blog this stuff, maybe World Wide Embarrassment will work where common sense has has not. Ha, ha, ha. ROFLMAO! And now we know why some animals eat their young! This must be true because nobody could make this stuff up. Wow. Thanks for reminding me why it was a good idea that I didn’t have kids. He’s a lucky kid. They used to arrest people for things like that. Little trial and all sort of stuff. It was a long time ago, when they still arrested for overdue fines at libraries. So little changes about teens. *sigh* Hahahahaha! A story to tell the grandkids.. when they are teens? Two sons, now in their late 30’s-40’s, still mad at me because when each approached me to get them insured for their driver’s license application was met with this response from me: “Nope, I’m not going to post bond ($35,000) with the DMV for any teenager, boy or girl, son or daughter! Nor am I going to add you to our automobile/safe driver insurance policies. You’ll just have to suffer until you reach your majority and can assume financial and moral responsibility. Does this make me a bad mother? I have 3 sons in college(twins and one 18 months older). One more high maintenance than the other. I love it when they come to visit, but love it even more when they leave. 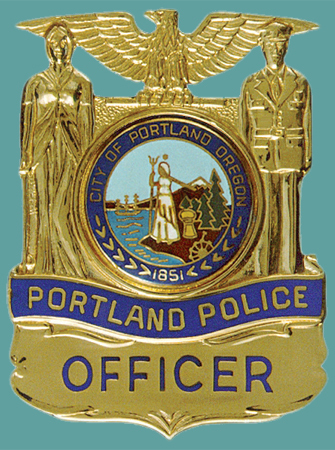 When they were in high school I always hated getting those post midnight calls that the caller ID read “City of Portland” I would answer and officer ______ would inform me they had my son. I was always trying to guess which one it was. Just gotta laugh or else you will cry. They are all three fun and great kids though.